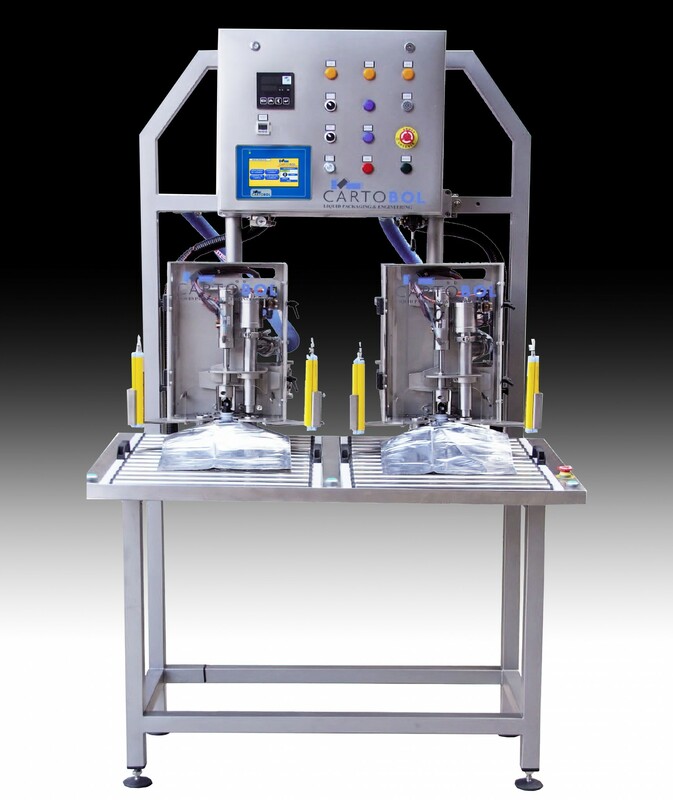 Filling machine with two heads, automatic and equipped with an electronic meter. The ECOFILL HT2 is a bottler of last generation, fast, accurate and easy handling with boot, unplugging, empty air, filling, nitrogen injection, capping and automatic expulsion. The operator will position holding a bag and the bottler with their detectors and safety bars will know that it is charged and you will automatically cycle of packaging, while the first head is filling the operator be charged the second head so that when the first finished the second you activate promptly filling. Structure in stainless steel. Its electronic and pneumatic components provide you with maximum reliability and performance. Equipped with touch screen, bar security and Autostart as well as flexible rotor centrifugal pump.